This is the second non-review in a month. Unlike the first however where sub-standard assembly and damages nixed the deal, today's anti review carries no negative implications whatsoever. It's simply that nothing very much can be said about its subject - except that it exists, is cool as seal skin, performs the intended job to perfection and doesn't cost a pinkie finger or toe, never mind arms or legs. 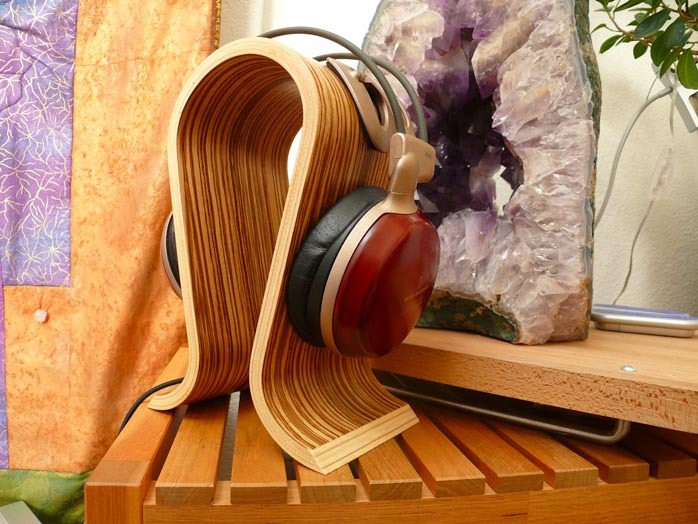 Jan Sieveking is the German distributor for Aura Note, a seller of music software and the manufacturer of this headphone stand shaped from steam-molded Plywood finished in a choice of Zebrano, Cherry, Maple or Walnut. The wide and perfectly flat sides put even pressure on the ear cups and are deep enough to accommodate Sennheiser's gargantuan new HD800, BeyerDynamic's new Tesla 1 statement or your garden-variety round Staxes. The overall shape is sized perfectly to have the headphones straddle the bow without stretching the headband. The finish is flawless, the material natural, the design elegantly timeless and simple. You'd say Scandinavian if it weren't German. You see, Jan Sieveking works and ships out of the Hansestadt Bremen, Germany's Western-most large sea port on the North Sea. His Omega stand is handsome, functional and fairly priced. 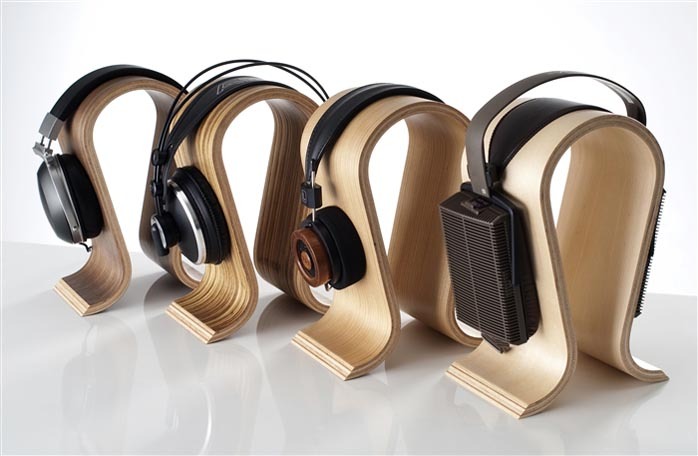 In fact, it's the perfect gift item for that hard-to-please audiophile who already owns everything. Come Xmas or a birthday, Omega could be your ticket. If you really want to splurge, add an Audio-Technica W-1000 headphone. Having owned top-line Grados and Sennheisers and still calling Beyer Dynamic DT880 and AKG K1000s with a custom wire harness my own, the W-1000s are my flat-out favorites. 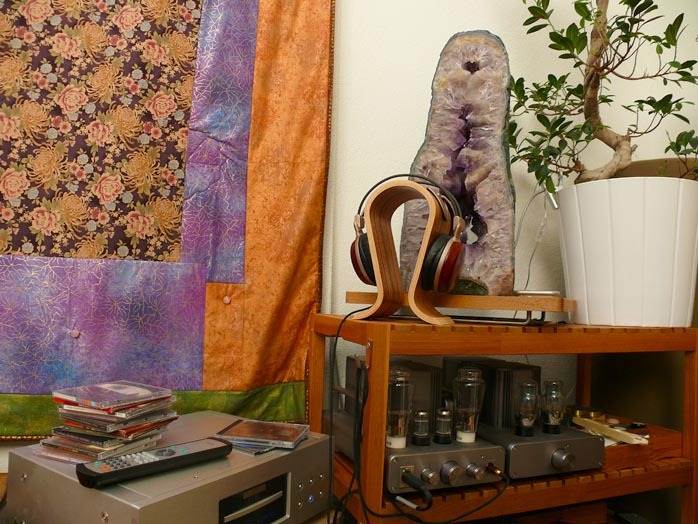 They are what I listen to for pleasure over my Yamamoto HA-02 SEP or Woo Audio Model 5 SET headphone amps with tubes. True, it's rather too early in the year for stocking stuffers. But there's the economic impact felt by everyone and news of Hovland's demise in today's audio obituaries. Sometime it's simply swell to be able to afford a little luxury that's not exactly essential. It could be a nice meal for two on the town after you've scraped by modest for weeks. 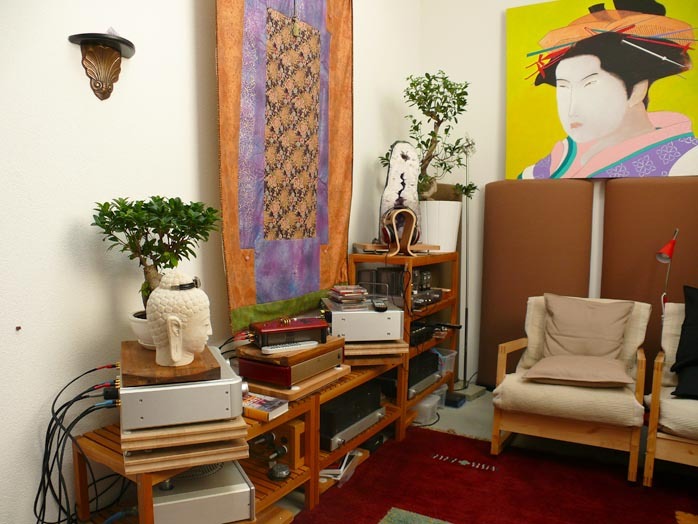 For music lovers, it could be a place to hang their heart - er, headphones. If so, the Omega will have you covered. I luv mine!